Connect with nature, agriculture, and art during this full-day, guided, food and sightseeing tour that includes a barbecue lunch and wine tasting. 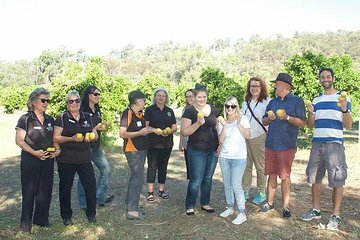 Travel to the Chittering Valley to discover and sample bushfood known as bush tucker and visit an organic cattle farm before touring a winery and enjoying a wine tasting and lunch. Walk among fragrant, ripe fruit on a farm and see how pottery gets made.